Please note Bharath Ane Nenu (Telugu) Movie occurred in past. 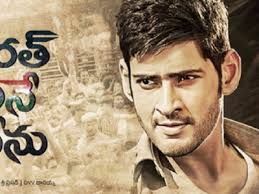 Bharat Ane Nenu is an upcoming Indian political thriller film directed by Koratala Siva, featuring Mahesh Babu and Kiara Advani in the lead roles. It is set to release in summer 2018.